Good Doggie - Have a Happy and Healthy Pup! Have a Happy and Healthy Pup! What are the Options for Treating Heartworm in Dogs? 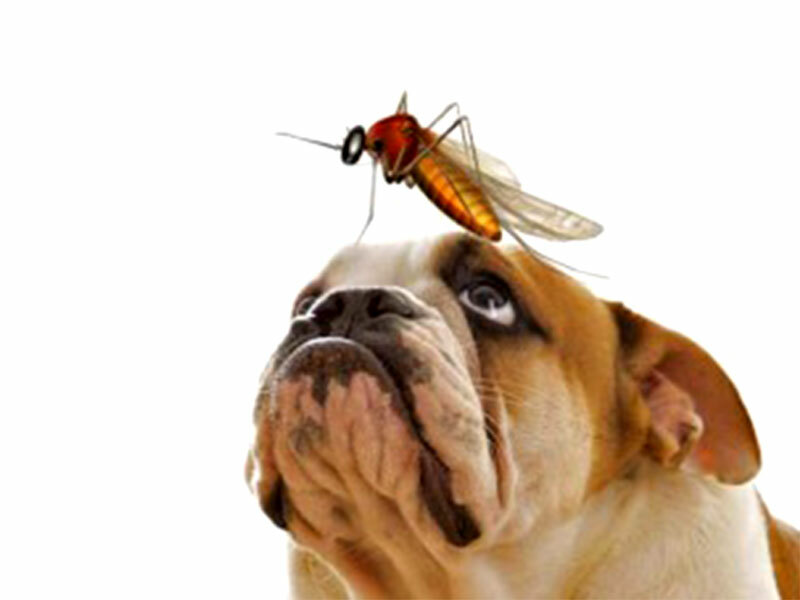 Heartworm is one of the most common diseases that can affect pets like your dogs. These are parasites that can be found in your pet’s heart, a fact that makes it a dangerous disease especially if not treated right away. The occurrence of this disease is common in places with warmer climates where the population of mosquitoes is high. The good thing is the options for heartworm treatment are wide. It is basically categorized in two groups, the standard preventive treatments and natural treatments and remedies. The treatment is naturally expensive and complicated. More importantly, it can be dangerous for the health of your pet. Treatments are dangerous because as the worms die, your pet also becomes at risk of dying. Strong treatments can bring this kind of risk. That is why it is emphasized just how important it is to get your dog diagnosed first before starting any treatment. 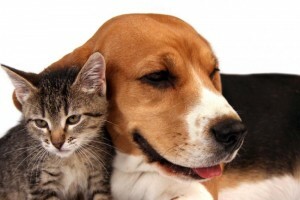 Treatment may be recommended once your pet is diagnosed with the disease. However, it is a must for the functions of your pet’s kidney, heart and liver to be evaluated first before any treatment should be performed. The purpose of this is to evaluate how risky the treatment is for your pet. The adult worms are typically killed using an arsenic-based compound. A popular example of this is the Immiticide which is administered to pets in a series of 3 injections. This arsenic-based compound is the only approved drug in the US today for treating heartworm due to its higher efficiency levels and fewer side effects. Pets are prescribed to have complete rest for several weeks once treatment is done. This rest period will ensure that their body is able to absorb the dead heartworms well without resulting to any side effects. Not following the vet’s orders may lead to respiratory failure once the dead worms travel to your pet’s lungs, or blocked artery, embolism, and worse, death. The treatment involves two phases, and it takes several weeks to complete them. One of the treatments is intended to kill adult worms while the other is meant to eliminate the baby heartworms or microfilaria. Your pet’s health and the severity of the infection are two factors used to determine which of the treatments should be performed first. Certain heartworm tests are then conducted upon the completion of the treatments. Receiving a negative result is an indication that the treatment is successful. Other available treatments that may be prescribed include surgical removal of the worms. This is often prescribed in cases when the infection is already advanced. • Black Walnut – Black walnut can pass through your pet’s stomach as well as their blood systems. It helps naturally treat the disease by killing the mosquito larvae before it can even reach the maturity stage and start filling the heart. You can give your dog some black walnut to consume at least two times a day to achieve this effect. • Cloves – This remedy is known for its anti-parasitic properties which help treat heartworms in two ways. It effectively kills and prevents further growth of the adult worms. Consumption of at least two cloves every day can bring such effects. • Lemon Juice – What make it effective as a heartworm remedy is its high levels of antibacterial properties. You can either mix the juice in the water your pet drinks or squeeze it into their mouth. • Carrots – Carrots also have anti-parasitic properties that make it effective in fighting against heartworms. Daily consumption of this anti-parasitic food can already help eliminate the heartworms present in your pet’s body. It’s been said above that heartworm treatments can be dangerous, which makes prevention the best means to lower your pet’s risk of developing the disease. The best way you can get started with it is by bringing your most loved dog to the veterinarian every year to get its needed injection. San Diego, California – The place is a haven for your furry pets. They will enjoy their freedom in the leash-free “Dog Beach” area of Ocean beach. Another leash-free place they will love is Fiesta Island of Mission Bay. For extreme adventure, you can surf with your dog at Coronado. For relaxation, take them with you to Del Mar, Old Town State Historic Park and Balboa Park. You can eat with them at Café Americana which offers dog-friendly foods. Check out Sally’s Seafood on the Water when you go Downtown where biscuits and water are given free to pets. Caffe Italia in Mission Hills and San Diego Bay allow pets inside with variety of treats you can purchase. Miami, Florida – It is the most pet-friendly place in United States with a long list of tourist attractions that welcome you and your furry friend. Take them to Dog Park at Haulover Park, Perrine Wayside Dog Park, Dog Chow Dog Park, Lago Mar Dog Park and Amelia Earhart Dog Park. Restaurants also allow animals to stay on their patios. Other bars and cafes provide treats for them while they wait for their owners to finish dining. Lake Tahoe, California – It welcomes pets year-round but August is the perfect time to visit the place so you and your pet can enjoy the annual “Peaks and Paws” at Squaw Valley. This event gives owners and pets a chance to participate in different exciting activities. Other places you can visit with your pet are Camp Richardson, Kiva Beach, South Lake Tahoe Dog Park, Bijou Community Park and Tahoe Winter Sports Park. Hilton Head, South Carolina – Restaurants here are pet-friendly, like Bistro 17, Crazy Crab and Captain Woody. If you want to take a relaxing cruise with them, choose Runaway, Vagabond and Captain Mark’s. Let them meet other dogs at Best Friends Dog Park also known as Chapin Park. You can also explore Sea Pines Forest Reserve with them at your side. Rome, Italy – This is the place where pets can eat pizza at outdoor patios of different restaurants and shops. There are also places that allow them inside to eat with owners. Stroll with them on the Spanish Steps, the Trevi Fountain, Piazza de Popolo, Parco Della Villa Borghese, Villa Doria Pamphili and Bau Beach. Barcelona, Spain – Walking with your pet is the best way to appreciate the beauty of this city’s major tourist spots like Gothic Quarter, Parc Guell, Barcelona Fish and Gaudi houses. Enjoy tapas in Barcelona and shop at Boqueria with them. Although most beach owners do not allow them in the premises, they are permitted to stay in the nearby boardwalks. Paris, France – You can take a ride with your pets in Paris without paying if they fit small carrying bag but you need to purchase a child ticket if they are too big to fit in the bag. Most restaurants and cafes also allow dogs to eat in the patios. They are allowed inside Buttes Chaumont Park and in some areas of Luxemburg and Tuileries gardens. Museums do not allow animals inside. Destin, Florida – Explore the famous Henderson Beach State Park and enjoy the stunning sunset in Florida with your pet on a leash. You can take a boat ride with them through Destin Vacation Boat Rentals, Dockside Watersports and Crab Island Cruises. 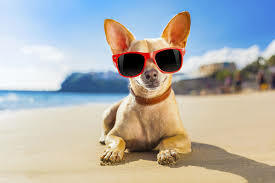 Of course, do not forget to enjoy seafood on patios of Hammerhead’s which gives special dog treats. Breckenridge, Colorado – This place is famous for dog sledding. Explore McCullough Gulch, Carter Park and Crystal Lakes anytime of the year. During winter time, you can enjoy Arapahoe Basin Ski Area and stay in Motherloaded Tavern which offers a dogs’ menu. Pigeon Forge, Tennessee – This is one of the top 10 pet friendly vacation destinations because of the Gatlinburg River Trail and Cades Cove of Great Smoky Mountain National Park, Oconalftee River Trail, Patriot Parks and Doggywood luxury kennel in Dollywood Theme Park. Exercising your dog outdoors is fun and rewarding physically for both you and your dog. However, when the fall and winter seasons arrive, you may find it difficult to keep on making your dog exercise outside since the mornings and afternoons are always dark, and for the rest of the day, the weather remains wet and cold. Going outside would simply be too difficult, making it harder for you to take your dog walking. Luckily, there are ways for you to keep your doggie pal happy and energetic even if he or she remains inside the house. Listed below are easy indoor exercises for your dogs which you can do whenever you want to. • iFetch. This cool product is the dog version of an automatic tennis ball launcher. What it does is that it throws the ball for your dog to fetch automatically. After your dog has retrieved the ball, either you can put the ball back on the opening of the iFetch for another fetching round, or for a more fun trick, you can let him put the ball back on the opening himself. Your dog will quite possibly figure this out on his own eventually anyway, so there is no need for you to stress yourself out by physically throwing the ball like what you would usually do outside. • Hide and Seek. Another one of the easy indoor exercises for your dogs is the common child’s game of Hide and Seek. Same rules apply, and the only difference is that you would be playing with your dog instead of a human. To do this, put your dog in a stay as you begin to run and hide. Once you have hidden, call your dog to you. This would make your dog find you in every nook and cranny of your home. This exercise can also help in developing the recollection skills of your dog by having more than two people participate in your game. • Indoor Agility. What could be more fun than setting up an obstacle course for your dog inside your home using stuff that you have and letting your dog play in it? You can create an agility course inside your house with the use of everyday furniture such as broom poles for jumps, chairs, mats for makeshift pause tables, blankets over the space between the coffee table and the couch for a tunnel, and boxes for weave poles. • Treadmill. If you happen to already own a treadmill or you feel the need to buy one, you can use it to get your dog to exercise without having to go outdoors. In fact, there are even treadmills that are made specifically for dogs. However, before you buy a treadmill for your dog, ask your veterinarian first if your dog is actually capable of running on a treadmill like any person would. • Give your dog a task. This is one of the rewarding and easy indoor exercises for your dogs. Teaching your dog to perform everyday tasks such as putting clothes in the laundry basket or putting away his own toys is like hitting two birds with one stone. Not only are you helping your dog maintain his health, but you are also giving yourself much more convenience by having your dog do the job of cleaning instead of you. Studies show that stroking your dog or cat’s fur actually helps lower blood pressure. This is due to the incredible pleasure of stroking the soft fur combined with the welcome warmth of your pet’s body. 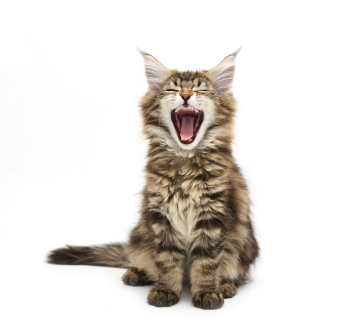 A cat’s purring sound also emits at a level that the human ear finds comforting, further normalizing blood pressure. Cats are mostly indoor pets, but dogs are great lovers of outdoors. If you own one, chances are you’ll get daily doses of exercise simply by taking the pooch out for a walk. You may not notice it, but the daily walk can actually burn off some fat, help you relax, and generally give you a healthy workout. Even if your pet happens to be a fish, there’s still some health benefit associated with it. Studies reveal that watching fish swim in the water promotes a hypnotic and very relaxing feel. You’ll find the tension easing out of you by simply observing the fish glide in the water. Studies show that people with pets are less likely to succumb to depression. In fact, many doctors today prescribe pets for people who are constantly in a bad mood. This might be because pets are completely dependent on you and can offer unconditional love. They can also be very mischievous like children and may offer comic relief for many owners. Many parents are afraid that their kids will catch germs from pets. However, studies show that pets are beneficial to a child’s health. Kids who grow up in a household with pets are less likely to suffer from allergies. Their immunity is also stronger, which can be because they’ve been exposed early on and therefore already built a protective system. Of course, those are only a few of the ways a pet can improve your health. You’ll find that having a pet can provide numerous other perks concerning improving the quality of your life. The journey towards the ideal canine food is still a work in progress. With hundreds of dog food diets emerging every once in a while, it is challenging to decide what specifically is beneficial or harmful to our pets. One is certain though. There are growing numbers of fur parents who recognize the risks of commercial kibbles and then consequently turn to homemade dog food, cooked or raw, for sustainability and improved nutrition. But not all pet owners are knowledgeable enough to switch to homemade dog food to their pet’s benefit. Below are some of the misconceptions. Using fresh ingredients can instantly provide the right amount of nutrients for your dog. While this may be true at some point, using fresh meat or vegetables to your dog’s diet is not a guarantee of a complete balanced meal. Your pet, depending on factors such as breed, genetics, activity, and environment may need varying amounts of vitamins and minerals. Talk to experts and do your research to ensure utmost performance. Adding yogurt to your dog’s meal cannot absolutely compensate for calcium needs. Dogs need as much calcium as they can get. For example, a 75-pound dog requires at least 2,000 milligrams of calcium per day or 14,000 milligrams per week. Unless you feed your dog with raw bones, you need to incorporate calcium supplement into your raw food diet. Examples are carbonates or calcium citrate and even egg shells crushed into fine powders. Reducing fiber supply to prevent loose stools is not safe and certainly not effective. Fiber is an essential nutrient to aid digestion, and it is commonly used to cure constipation and diarrhea. Loose stools may be caused by the type of dog food, certain parasites or other diseases. Try changing diets and observe for a few days. Dogs do not need carbohydrates and grains. Grains are totally a no-no in a dog’s diet. Our canine pets do not possess the same enzymes humans have to break down grains and turn it into energy. This is the most misunderstood concept of homemade dog food thinking that the absence of carbohydrates can lead to certain illnesses. Raw diets are always superior to the commercial ones, and dogs fed with homemade foods are invulnerable to diseases. This is a completely false idea. 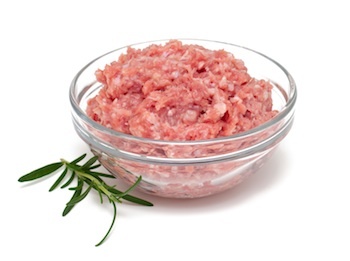 Feeding your dog with raw food does not make him immune to allergens or bacteria. Some dogs prove to have absolute compatibility with raw diets while others show ill symptoms. Doing your homework is always the best prevention. If you don’t have the time or patience to make your own homemade dog food and do it right, it may be best to consider foods from reputable manufacturers who make dog food and treats in the USA, like Merrick Dog Food or Artemis. Just as your health is important, so is your pet’s. Vet bills can escalate quickly, so it’s not a bad idea to explore pet insurance. Embrace is currently one of the more well known pet health insurance providers in the country today. You’ll find that Embrace pet health insurance reviews are filled with positive feedback about the product, tempting pet owners to get their policy from the company. Coverage for drugs and other medications are also covered, but they’re usually optional. There’s also the Wellness Rewards which covers mostly the routine bills that come with pet ownership. This involves check-ups, dental health, vaccinations, de-worming, and various others. There are dogs that can be safely fed by their owners. Such dogs don’t mind people sitting beside them when they eat. Some children can even move the feeding bowl as the dog feeds in it. But there are dogs that stiff, growl, or even bite when someone comes close to them as the feed. These behaviors can be very dangerous to the family that owns the dog. Luckily, there are ways to relieve a dog’s food aggression to keep every person on him safe. Determining food aggression in dogs is not that difficult. It’s as easy as observing the dog’s behavior when he is near food. Dogs that are confirmed to be food aggressive are those who threats or does a harmful act on a person who gets near him while he feeds. Even the owner of the dog may be in danger in some cases. Some dogs are aggressive over any food given to them while some become one only when near a particular type of food such as human food. The level of aggression varies on how the dog reacts. It can be as low as stiffening when someone nears his food to as high as biting anyone who gets near his meal. Usually, when a person tries to lay his hand on a feeding dog, the dog will first stiffen, especially its shoulders and neck. It will then lower his head and guard his food. The dog’s pupils will become dilated, and the eyes will be widened. The eyes may dart out if there are many “threats” around him but if there’s only one person near him, the dog’s eyes will most probably be fixed. The position of the dog’s tail varies based on its breed. Usually, however, it is also stiff most of the time and may either be positioned down or tucked upwards. 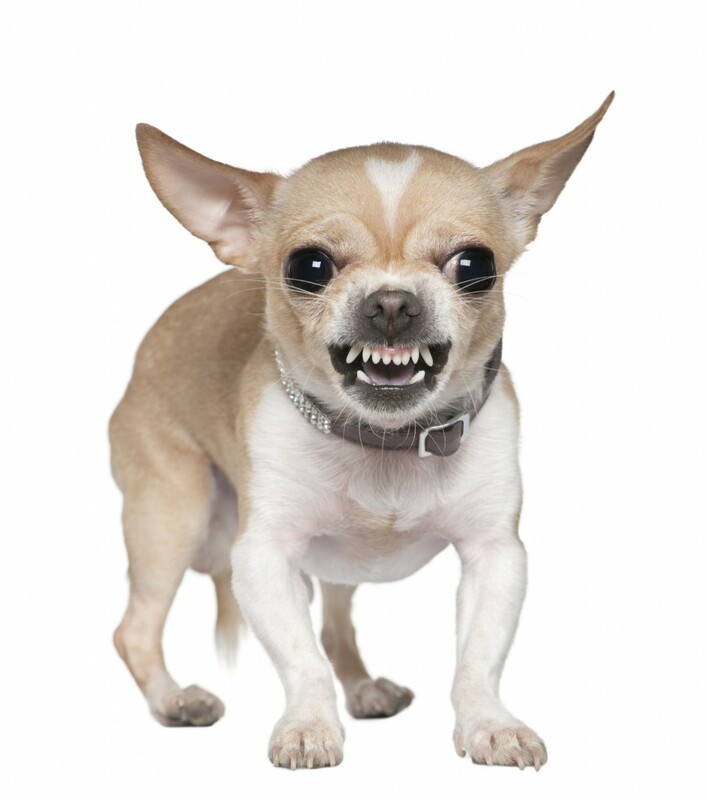 It is especially important that the owners have proper knowledge of food aggression in dogs. If this aggression is in their dog and is not addressed immediately, the dog’s condition may worsen, and it may progress into hurting more people he sees as “threats” to his meals. More often, the dog only becomes aggressive just to push the person or other animals away from his food. Therefore, the dog will just back away from the person and return to his food. If a dog owner tries improper approaches to his eating dog, its aggression may worsen, and it may become a threat even to the owner’s safety. Consider dog training classes in your city for support in managing this. Note that there are some services not covered by Healthy Paws. For example, their policies do not include preventive care such as routine vaccinations or the spaying/neutering of the pet. Pre-existing health problems are also not covered by their policies. For further information, the official website offers a comprehensive list of the services not covered by the insurance company. Healthy Paws offers an online quote machine, providing you with a pretty clear idea of how much it would take to keep your pet covered. As for claims – Healthy Paws Pet Insurance reviews note the availability of online filing, allowing you to use your iPhone, iPad, or any similar device for filing. Practically all the information and updates you need to make are available online. Real-time status checks are possible, as well as changes in your address or billing information. Adding new pets or removing one in your policy also becomes easier with an online signup. Questions are entertained almost instantaneously. Under the Healthy Paws insurance policy, pet owners are encouraged to register their pets before their 14th birthday to keep the premium at a minimum. In fact, it’s better to have your pet insured as a puppy or kitten to make the most out of the coverage. All in all, it’s pretty good pet health insurance coverage—perfect for pet owners who want to ensure the safety of their cat or pooch. Healthy Paws gets a rating of 4 out of 5 stars. The concept of how to feed your dog a raw diet is a highly debated matter depending on who you ask for advice. But for those who are advocates of this method, they are living testaments that a raw food diet can actually lengthen a dog’s life span, prevent life-threatening diseases, and improve temperament and coating. However, a raw food diet is not for every dog, and it is crucial that you consult your veterinarian first to mitigate risks. If you are determined to stop using commercial dog foods and switch to natural dog food and treats, below are some of the benefits you can achieve by feeding your dog a raw diet. Think of commercial dog foods as a canine’s version of human fast food. Because it is served instantly, it lacks thorough preparation and essential nutrients to keep your dog healthy. Dogs are carnivorous and they are naturally trained to process raw meat as food. Kibbles were invented not necessarily for optimal nutrition but more for the pet owner’s convenience. Processed foods are void of denatured proteins, enzymes, and vitamins present in natural diet. Because commercial kibbles typically undergo several processes of preservation and heating, natural enzymes and vitamins are destroyed before the food is even consumed by your pets. When some owners complain that their dogs develop allergic reactions, it is because the animals’ biological system has long been domesticated to consume kibbles than natural food. To reverse this, mix raw food with the kibbles following a 1:1 ratio. 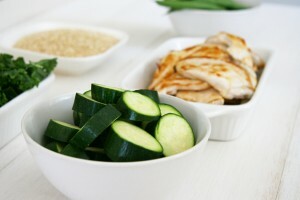 Observe changes before embarking on a full blown raw food diet. Dry food causes mild dehydration. Throughout the years, dog food manufacturers claim that dry canine foods contain 100 percent balanced nutrients. Unfortunately, recent studies show that dry dog foods actually elicit mild dehydration. Over time, this is transformed into various forms of allergies and diseases such as liver atrophy among canines. When your dog starts itching, veterinarians normally advise you to change your dog’s food. While this is true, jumping from one kibble to another can only worsen the situation. Instead, stick to raw diet and enjoy the benefits of natural foods. Whatever you decide to feed your dog, remember that the most important factor is their safety. While chicken is also a raw food, feeding your dogs with bones is risky because it can damage their teeth and block food and air passage in the throat. The philosophy behind feeding your dog a raw diet is basically about preservation and longevity of life.